Hand-crafted. Serious high-end components. Quality wood. Individually selected. Air dried. Hand-rubbed finish. The BigBoy is a custom walnut and spruce hand-shaped neck through body construction. Embedded with Gibson PAF humbucker pickups and genuine 24k gold hardware. Finished with multiple coats of hand-rubbed oil. The Arizona is a custom hand-shaped, air dried Alder body with bolt on maple neck, and genuine Seymour Duncan / Music Man pickups. Finished in orange and lemon yellow alcohol dye burst with water white hand-rubbed piano lacquer. 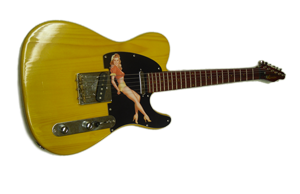 The Yellow Tele from the Twins has a solid, air dried Adirondack spruce body with a Padauk bolt on neck. Add Fender Custom Shop 51 Nocaster pickups. Then finished with a lemon yellow alcohol dye and water white hand rubbed piano lacquer. 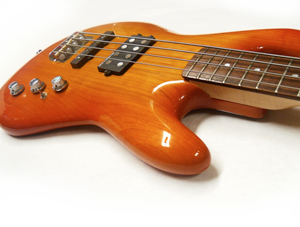 The other Twin is a red-orange custom, hand-shaped, air dried Alder body with bolt on maple neck. The single coil pickups are 1969 custom Shop reissued by Fender. And the body is finished with cherry red and orange alcohol dye and water white hand-rubbed piano lacquer. 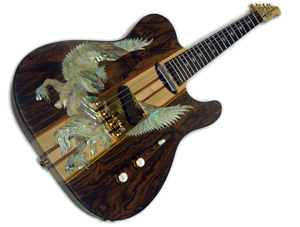 Pegasus has a mahogany body and maple neck, with mother of pearl inlaid, Seymour Duncan Antiquity Tele pickups and gold hardware. The body, neck, and inlay was created by Tony's Work Shop, while the component selection and assembly, by Lance Guitar. 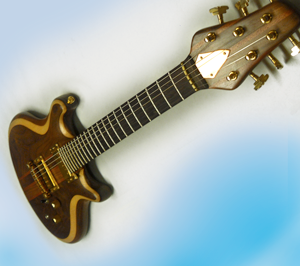 The Companion is an air dried Adirondack spruce and maple neck through chambered body construction. 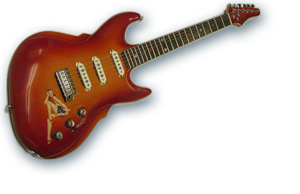 It features a “Big Hand” fade away radius neck, Lindy Fralin P-92 pickups, and Schaller Tunematic Roller Bridge. 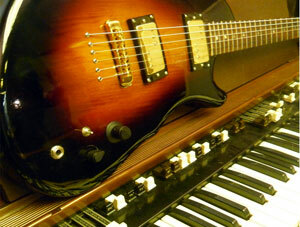 Finished in sunburst piano lacquer. Enchantress is a hand-selected, air dried, Adirondack spruce body with Maple neck. 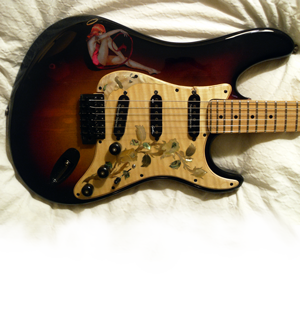 Maple mother of pearl inlaid pickguard, Seymour Duncan Antiquity pickups, and finished with Sunburst piano lacquer.